SPECIAL OFFER PRICING on Compaq iPAQ 3630s, 3850s, 3970s, 2210s, 5450s and 5550s. New and refurbished models available on many lines including 3870, 3950, 3970, 5450, 5550, 2210, 1940, 4150, 1710. Email/Call 0870 360 3699 for price matching, quoting source. 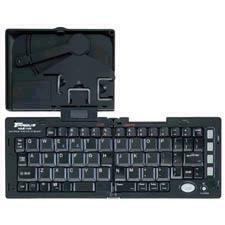 The Compaq iPAQ 3130/3630/3760/3830/3850/3870/3950/3970/HP H5450/5550/1910/1930/1940/2210/4150/6340/1710/6515 Pocket PCs are designed to go everywhere with you - at work, at play and traveling. They're not much bigger than a calculator and come standard with applications like Microsoft Pocket Word, Excel, Outlook, Internet Explorer, and Windows Media Player. Do more with their modular system of slide-on Expansion Packs. Use the CF Card or PC Card Expansion Pack to connect to get your e-mail or connect to the Internet to put critical information at your fingertips. 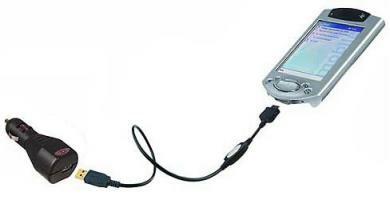 Whatever you choose to do, you can do it with the iPAQ Pocket PC. Use pocket e-Book reader and pocket PDF software to view books and reference material on the move. Synchronise your diary and tasks. Play games, view media clips, listed to music. Add up to 2Gb of Compact Flash storage or use the SD slot on 3800 series models. HP iPAQ Pocket PC 2005 Windows Mobile 5 Messenger HW6900 Series New! HP iPAQ Pocket PC 2003 Mobile Second Edition RZ1710 Series New! HP iPAQ Pocket PC 2003 Mobile H6500 Series New! HP iPAQ Pocket PC 2003 Mobile H6300 Series New! 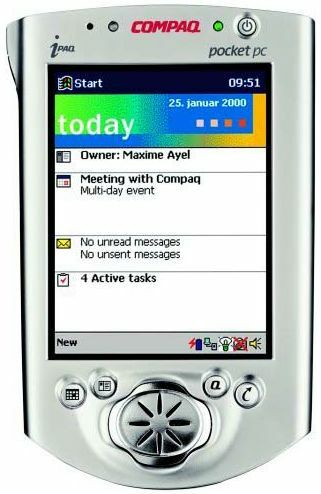 HP iPAQ Pocket PC 2002 H1900 Series New! HP iPAQ Pocket PC 2003 H2200 Series New! HP iPAQ Pocket PC 2003 H4100 Series New! 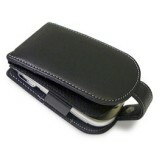 Finished in black leather with a zip fastener running round the outside edge to ensure your handheld will stay put. 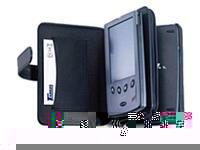 The Pocket PC is held securely in place using velcro strips and can also be removed from the case for use if required. The case also contains three slots for credit cards, a pocket for papers or business cards, a handy stylus holder and is supplied with a detachable wrist strap. 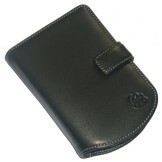 With internal pocket for SD/CF cards & credit cards. Won't take iPAQ jacket. Specify iPAQ model in additional info when ordering. 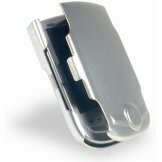 Secure hard all round protection in matching iPAQ silver aircraft grade aluminium. Specify iPAQ model in additional info when ordering. 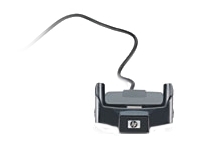 Compatible with iPAQ H1910/H1940/H2210/H4150/H3800/H3900/H5450 & H5550; The Belkin USB Sync Charger provides synchronization and power for your iPAQ from any USB port or Car cigar socket. 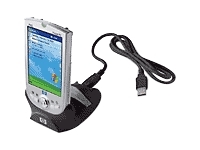 Allows Power Adapter to be inserted direct into later iPAQs without going via cradle. Also converts older power adapters from 31xx/36xx/37xx series to work on later iPAQs. You may order online but you will be advised of any price changes & supply fluctuations. 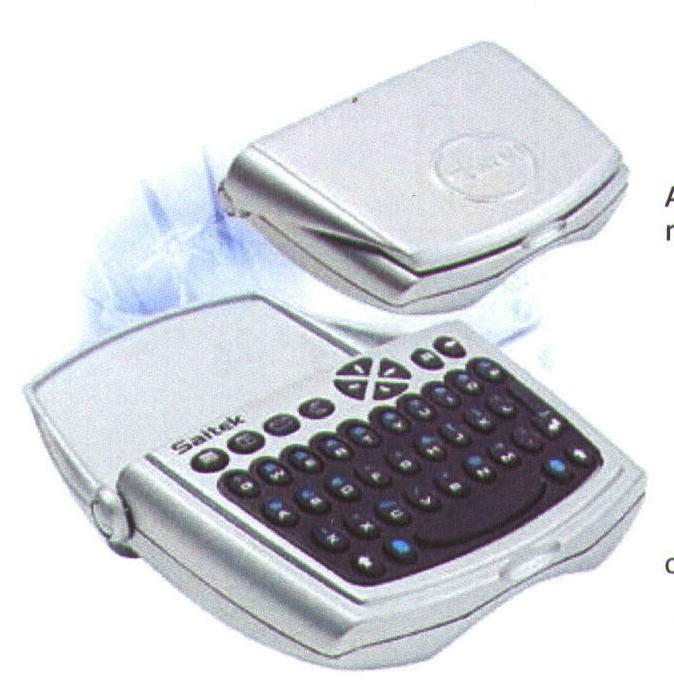 The SnapNType PDA QWERTY Keyboard, simply snaps into place on the bottom of your handheld. It positions perfectly for thumb typing. With all the excellent design features from Saitek, the Mini keyboard is ergonomically designed for either one- or two-handed use! 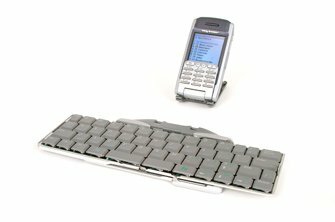 Saitek are providing excellent quality keyboards for the iPAQ which are ergonomically designed, and fantastically priced. This brand new item is so easy to use, and lighter than most competitors. The full size Stowaway Bluetooth Keyboard works with the world's most popular PDAs, PDA/Mobile Phones and Smart Phones. 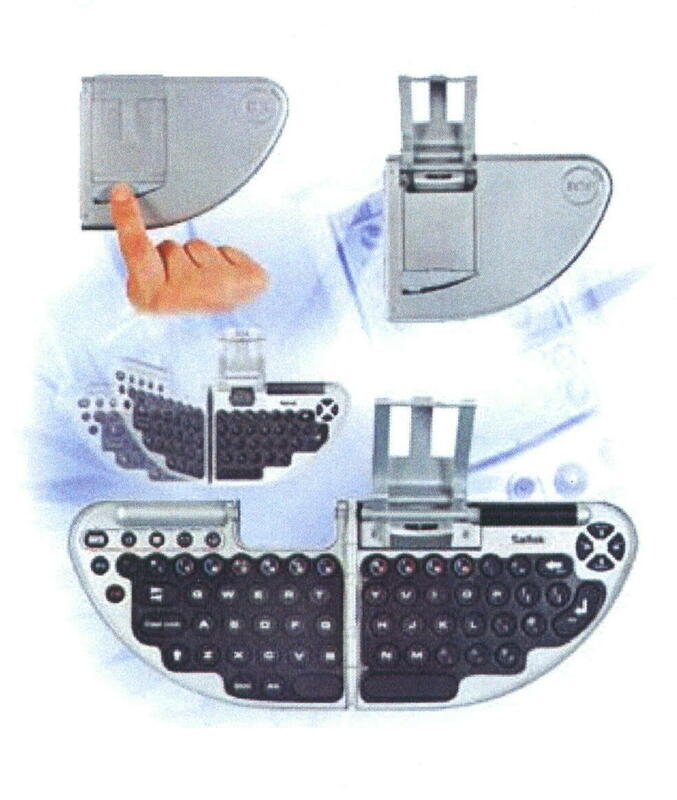 You no longer have to juggle between different keyboards or worry about switching products because the Think Outside IR Keyboard works with the world's most popular PDAs, PDA/Mobile Phones and Smart Phones. 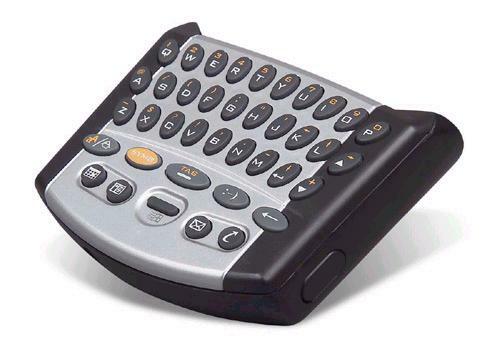 You no longer have to juggle between different keyboards or worry about switching products because the Wireless IR Keyboard works with the world's most popular PDAs, PDA/Mobile Phones and Smart Phones. 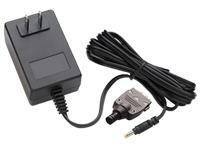 £85 inc VAT Buy Limited units available for iPAQ 36/37 series and later 38/39 series. Folds down smaller and lighter than the Targus model yet retains 90% of the keyboard size and 100% of the Targus keyboard's usability. 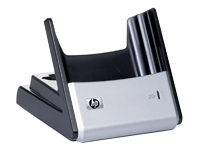 Spare iPAQ styli for all types of iPAQ, sold singly or in threes, or as Metal 3-in-1 Stylus including pen. iPAQ screen protectors for all 3000, 5000, 2210 series iPAQs, sold in packs of 12,5 or singly [BUY]. 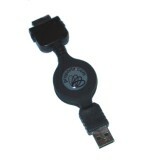 Other accessories and software available for iPAQs - please ask for details or go the Order Form for a fuller list. Any questions prior to ordering? - then email: Sales, otherwise proceed to the Order Form.